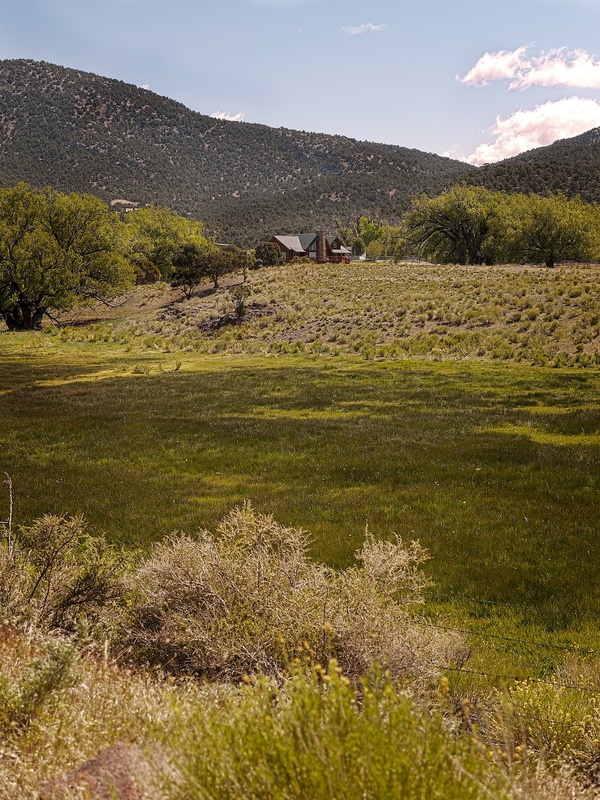 Between the Steptoe Valley north of Ely, and Spring Valley is a pass that was used for years by the the Pony Express, California Telegraph, Overland Stage, and the Lincoln Highway. If you are going to travel on the old LHW between Salt Lake City and Ely you will be going over this pass. The road now is well graded and easy traveling. On the western side was Fort Schellbourne which protected the stage and the Pony Express. It was located three miles east of Route 93 not far from the Schellbourne Ranch. In the image above you can see the current county road cut in the hillside well above the ranch. 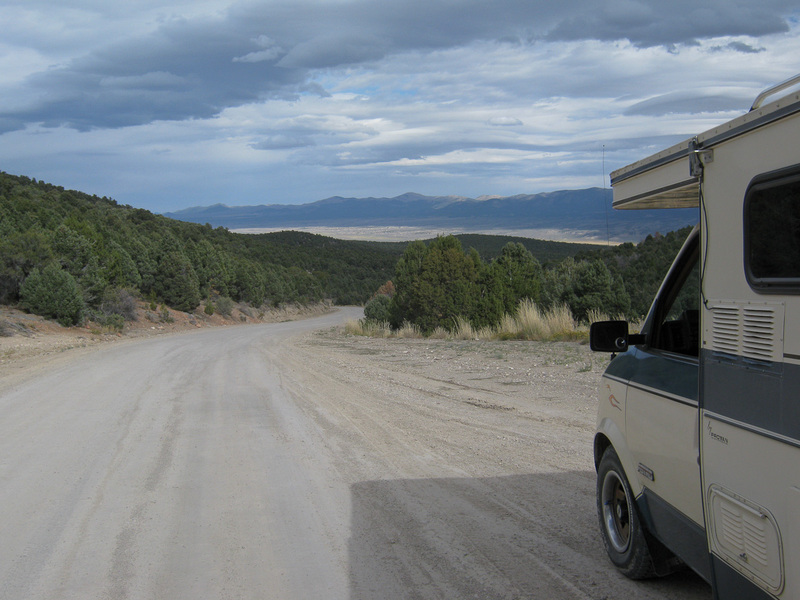 The LHW ran through the ranch and met up with the current road near the summit, the notch in the background. 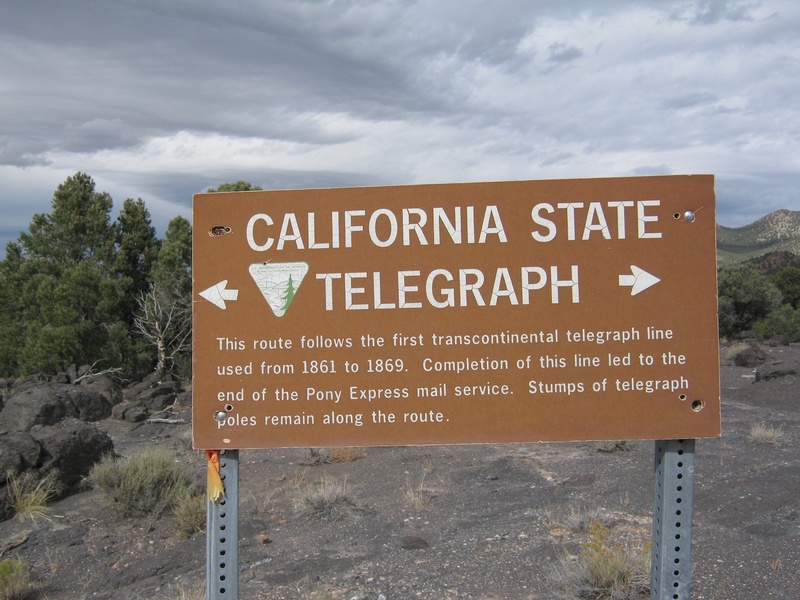 The pass was also the route of the transcontinental telegraph. California State Telegraph Marker on the west side of Schellbourne Pass. The area was once the site of a brief mining boom until prospectors discovered better ore across the Steptoe Valley at Cheery Creek. This is a nice road and if you are in a hurry to see some of the old LHW, you could do no better than to leave Route 93 and head east over the pass, past Tippett, and as far as Ibapah, then return to 93 by continuing north. This will add just a couple of hours to your trip. Coming south from I-80, turn off 93 at the sign for Ibapah and continue south through Ibapah, Tippett, and back onto 93 at Schellbourne. Frankly this is my favorite part of the old highway. I hope the isolation and beauty will delight you as much as it does me. The banner photograph at the top of this page is the glorious view just north of Tippett.